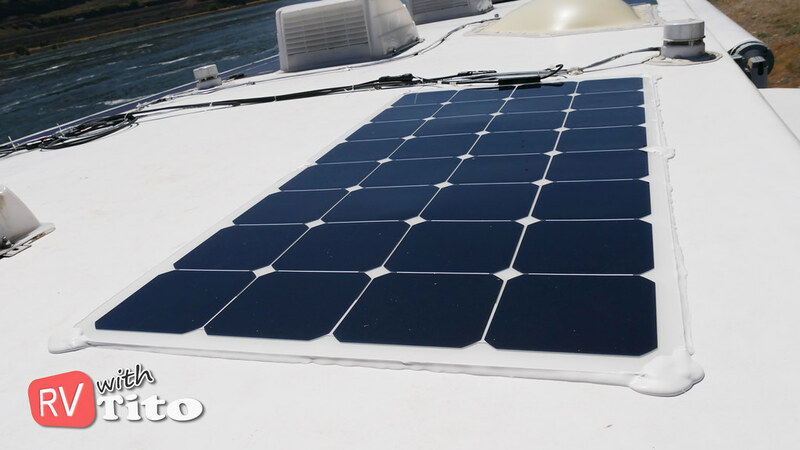 In the article I show you how I installed two new 100 watt flexible solar panels on the roof of my RV in order to generate more amps for battery charging. 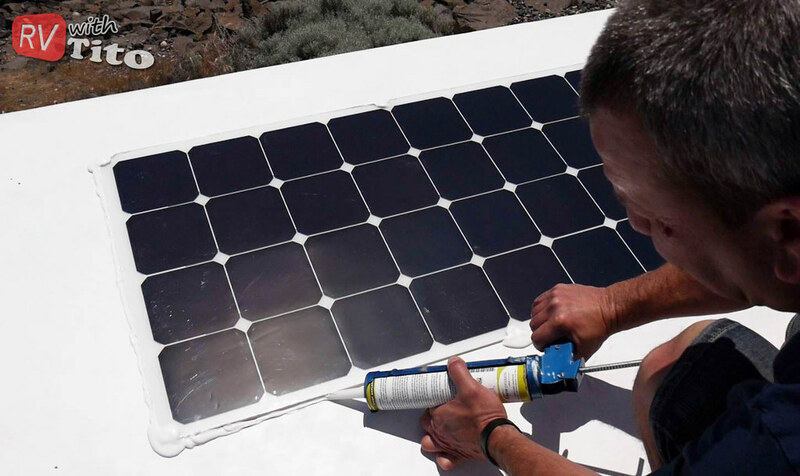 I like flexible solar panels because they allow your roof to remain accessible. They can also increase the stealth factor by remaining undetectable from ground level. 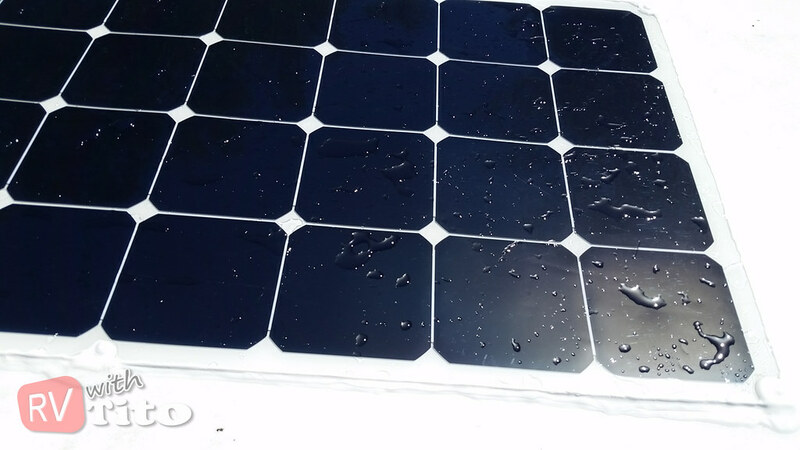 The solar panels featured in the video are from HQST who took over the manufacturing of flexible solar panels from Renogy. So far they have performed well for me. In order to connect the panels to my existing solar array, I needed additional cables of various lengths. All have MC4 connectors for easy hookup. If you decide to mount the solar panels using screws, then I recommend using Butyl tape like I demonstrated in the video. Butyl tape is typically used to seal up opennings on your RV roof, so small pieces are great for sealing up screw holes. Dicor is handy for sealing up just about everything on your roof. Use it to cover the screws and around the edges of your fan. I recommend getting a couple of these for regular waterproofing touch up on your RV roof. Eternibond tape is another good option for mounting these flexible panels when drilling is not an option. Watch this video to see how to do it. Before buying and mounting the panels, I located a spot on the roof where they would fit. I then figured out how much extension cable I would need to tie in to the other panels. I decided to hook them up before actually mounting them. The purpose of this was simply to make sure I had all of the necessary cables, connectors and other materials need for the job and to verify that the panels functioned as expected. I chose to secure the panels to my roof using one inch screws. This was the method I used for my other flex panels, so I felt confident that this was most secure method to guarantee the panel would not come loose. Most flexible panels come with roughly six grommets for mounting. So I simply drilled pilot holes through the grommet, placed a piece of Butyl tape under each hole, and drove a screw through the hole and Butyl tape to create a water-tight seal. For those who prefer not to drill holes in the roof, using an adhesive or water tight tape is another option. Place some industrial double sided mounting tape under the panel, then cover the panel edges with either Dicor Lap Sealant or Eternibond Tape. 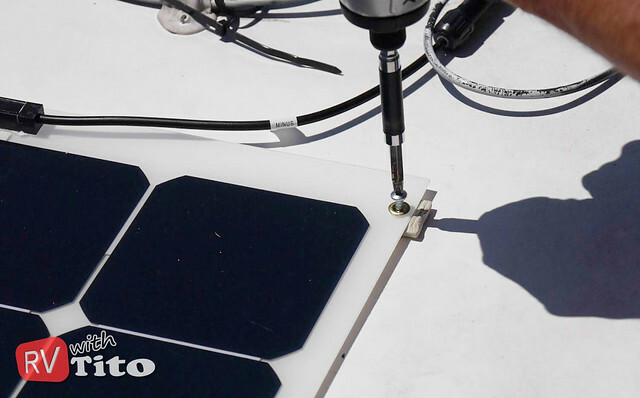 Whatever method you choose to secure the panel, it is important to seal up the edges of the panel well. Since I used screws, I used Dicor Lap Sealant to completely cover the screws, grommets and all around the panel edges. This prevents any water from getting under the panel and wind from jarring it loose as you drive down the highway. The final step in this project was to wait for the Dicor to settle in and reapply if needed. While I waited, I enjoyed the additional amps that the two new panels provided. 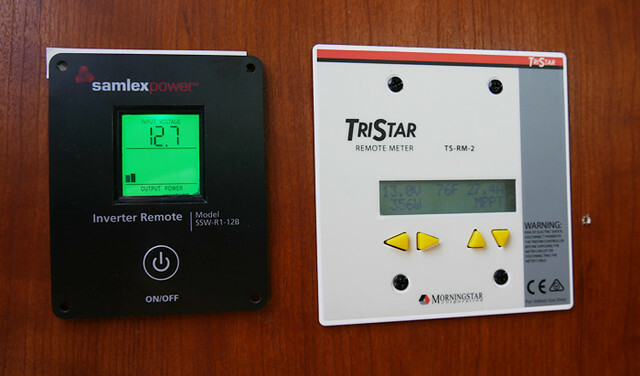 Before this upgrade, the maximum output I would get from my solar panels was roughly 16 amps. With these two additional panels, I am getting around 27 amps. That’s really going to come in handy as I do more boondocking. Solar Panel Connections - Series or Parallel?